Bringing the Microsoft vision of “Live Anywhere” to life, “Shadowrun™” is the first cross-platform game for Xbox 360 and Gamws for Windows. “Shadowrun” is a multiplayer, first-person shooter that propels team-based combat into a new dimension with a revolutionary blend of modern weaponry and ancient magic. 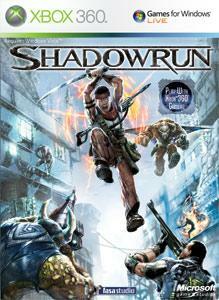 “Shadowrun” was available at the launch of Windows Vista. Kill 100 players on the Oppisite platform. Save your Allies with the Tree of Life. Ignore a great deal of damage using Smoke. Bring back 100 allies from the dead. Kill 100 enemies with your Minions. Shadowrun beta responsible for Live outage? shadowrun, is it a good buy?